Objective We conducted a study to evaluate the relation between environmental, demographic, and medical risk factors and late-onset childhood lead poisoning, defined as children who were poisoned at age 3 or older. 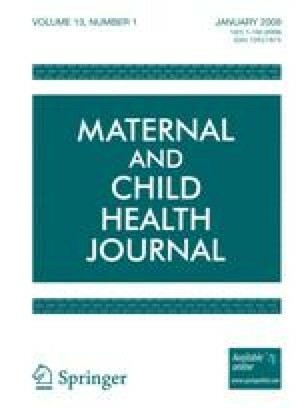 Methods We performed a retrospective case–control study of 262 children whose test results showed non-elevated (<10 μg/dl) blood lead levels (BLLs) before age 2 but levels ≥10 μg/dl after age 3 and of 300 control children who had non-elevated BLL test results before age 2 and also after age 3. The target population was children receiving care at MetroHealth Medical Center in Cleveland, OH. We modeled the association between demographic and clinical risk factors and BLLs ≥10 μg/dl after age 3. Covariates considered were race, gender, body mass index, immunization status, mean corpuscular volume, hematocrit, red cell volume distribution width (RDW), red blood count, hemoglobin, baseline BLL result, and time between the baseline and second BLL test. Results Case children were more likely to be male (P < 0.0001), black (P = 0.0189) and to have a high RDW defined as ≥14.5 % (P = 0.0083). On the basis of the final model, children with BLLs 7–9 μg/dl before age 2 and again after a follow-up BLL test (<21 months) were more likely to become lead poisoned than were control children. The risk of black children developing lead poisoning increased over time, regardless of the child’s first BLL test result. Conclusions Although national recommendations are to test children’s blood lead levels at ages 1 and 2, children living in high-risk areas with such risk factors should have a blood lead test at these older ages. Jaime S. Raymond and Roberta Anderson contributed equally to this work. CAN, D. O. Database [database on the Internet]. Cleveland (OH): Center on Urban Poverty and Social Change, Mandel School of Applied Social Sciences, Case Western Reserve University. [cited 2004 Dec 19]. Available from: http://povertycenter.cwru.edu/urban_poverty/dev/cando/overview.asp. Lead poisoning. http://www.ehw.org Cleveland, (Ohio): Environmental Health Watch. cited 2005 Sep 2. Available from: http://www.ehw.org/Lead/LEAD_home3.htm. Centers for Disease Control and Prevention (CDC), National Center for Environmental Health. [homepage on the Internet]. Atlanta: CDC. [cited 2006 Dec 1]. Available from: http://www.cdc.gov/nceh/lead/surv. Centers for Disease Control and Prevention (CDC), National Center for Chronic Disease and Health Promotion. [homepage on the Internet]. Atlanta: CDC. [cited 2005 Dec 1]. Available from: http://www.cdc.gov/nccdphp/dnpa/bmi-adult-formula.htm. Centers for Disease Control and Prevention, National Center for Chronic Disease and Health Promotion. [homepage on the Internet]. Atlanta: CDC. [cited 2005 Dec 1]. Available from: http://www.cdc.gov/nccdphp/dnpa/bmi/bmi-for-age.htm. Centers for Disease Control and Prevention, National Immunization Program. [homepage on the Internet]. Atlanta: CDC. [cited 2005 Nov 14]. Available from: http://www.cdc.gov/nip/casa/Default.htm. Centers for Disease Control and Prevention, National Immunization Program. [homepage on the Internet]. Atlanta: CDC. [cited 2005 Nov 14]. Available from: http://www.cdc.gov/nip/recs/child-schedule.htm. Centers for Disease Control and Prevention (CDC). Managing elevated blood lead levels among young children: Recommendations from the Advisory Committee on Childhood Lead Poisoning Prevention. Atlanta: US Department of Health and Human Services, CDC; 2002. [cited 2003 Nov 03]. Available from: http://www.cdc.gov/nceh/lead/CaseManagement/caseManage_main.htm. Jacobs, D. E., Clickner, R. P., Zhou, J. Y., Viet, S. M., Marker, D. A., Rogers, J. W., Zeldin, D. C., Broene, P., & Friedman, W. (2002). The prevalence of lead-based paint hazards in U.S. Housing. Environmental Health Perspectives, 110, 599–606. [cited 2003 Nov 03]. Available from http://www.hud.gov/offices/lead/techstudies/HUD_NSLAH_Vol1.pdf.